MAA « What Happened to the Portcullis? Representatives from the Southern African Customs Union (SACU) gathered in Johannesburg, South Africa recently to refine requirements towards the development IT connectivity and electronic data exchange to facilitate cross-border customs clearance in the region. The workshop was convened by the SACU Secretariat under the sponsorship of the Swedish government and technical support from the World Customs Organisation. Work already commenced way back in 2012 on this initiative. Progress in the main has been hampered by the legal agreement which to date not all members of the Customs Union have ratified. One of the features of this initiative, however, has been the continuity of support rendered by the WCO. This event was indeed fortunate to secure – once again – the services of S.P. 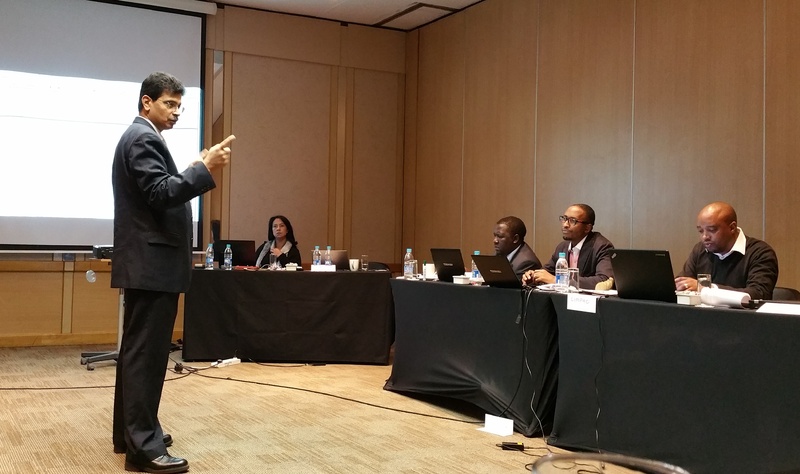 Sahu, former head of Information Technology at the WCO. After his secondment to the WCO he is now back in his home country where he is the Commissioner for Single Window based in Delhi, India. S.P’s years of experience in both the technical and operational spheres of customs and the international supply chain enable him to articulate concepts and solutions in a manner which are practical and simple to understand. The workshop recognised the need to accelerate border processes and to this end the border process should be limited to physical examination, inspection, release; declaration processes should be done away from borders. While simple enough in theory, the notion of clearance away from borders could pose challenges. 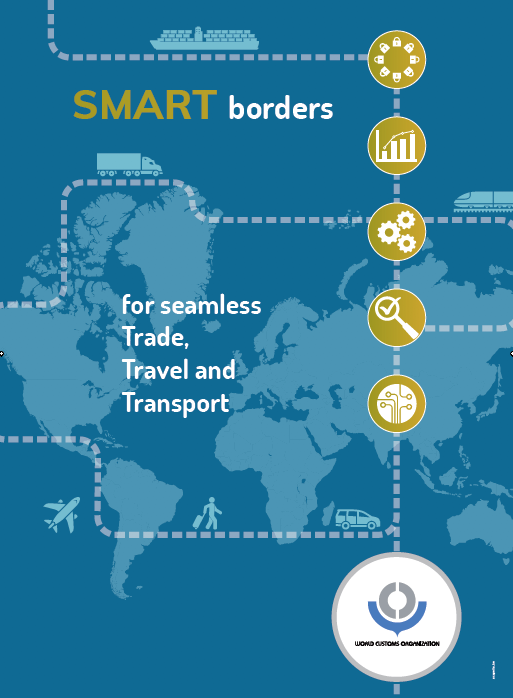 Many of Africa’s borders – including those of a ‘One Stop’ kind – have not fully embraced the need to integrate processing and synchronize Customs activities. The challenge posed by ‘regional integration’ is one of surrendering national imperatives for a common regional good. It imposes a co-ordination of and development towards ‘regional objectives’ with the same level of purpose as national states do for their domestic agenda’s. In the case of SACU, it challenges member state’s stance on what real benefits the customs union should aspire to, beyond the mere sharing of the common revenue pool. The outcome of the workshop resulted in a more refined, do-able scope and objective. With Mr. Sahu’s experience and guidance, the revised Utility Block (UB) speaks to all facets (legal, operational and technical) of the ‘regional agreement’ to the extent it specifies in the required detail the programme of action required on the part of the member stats as well as the SACU Secretariat. Refinement of the UB includes the removal from scope of the Release Message, Manifest Information and bond/guarantee message for the purpose of simplification of customs processes. An Export & Transit Message – which includes the Unique Consignment Reference (UCR) validated and approved by the Export/Exit country. An Arrival Confirmation/Notification Message – where the arrival date time would be when the import country recognises goods as received and places the goods under its customs procedure. A Control Results Message – which includes the results of data matching, inspection and risk assessment based on agreed business rules. 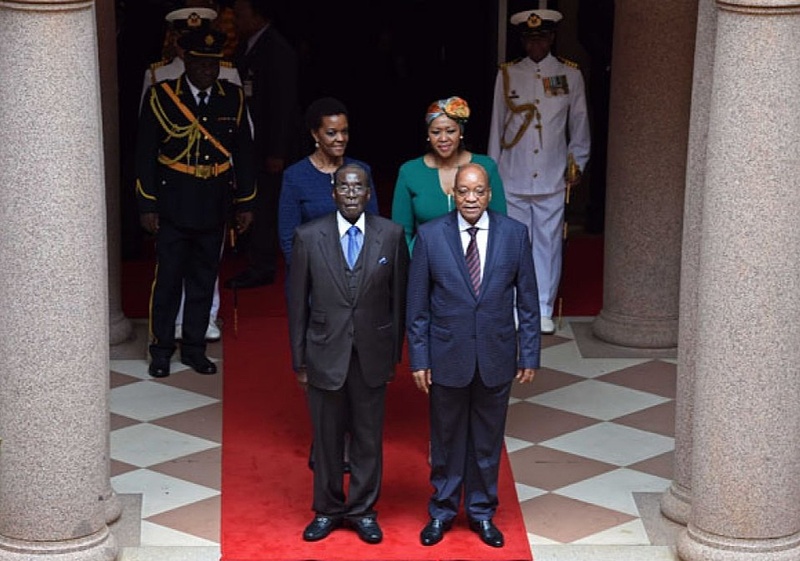 In support of the above, SACU recently agreed on a framework of a UCR which must be further discussed and agreed upon by the respective member states. The UCR is a structured reference number which will be used by customs administrations of the respective member states to ‘link up’ import declaration data with the corresponding ‘export declaration’ data electronically exchanged by the export country. Regional traders who have electronic clearance and forwarding capability will also play a role in the exchange of data through the exchange of the UCR on export and transit information with their counterparts or clients in the destination country. Once the exchange of data is operational between member states, it will be imperative for the importer to receive/obtain the UCR from the exporting country and apply it to his/her import declaration when making clearance with Customs. The SACU Utility block will be tabled at a future Permanent Technical Committee meeting of the WCO for consideration and approval. A Utility Block is a concept structure which is proposed under the WCO’s Globally Networked Customs (GNC) initiative which seeks to aid and assist its members in the operationalisation of Mutual Administrative Assistance agreements.